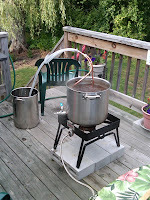 Following suit with Tom's post, I decided to roll up and summarize my homebrewing experience for 2010 for a post. This year was the first year that I brewed all my beers all-grain (made the conversion to AG mid-2009) and I graduated from bottling with the purchase of a keg setup (mid-2010). While my numbers were down from last year (25 batches in 2009), Lug Wrench Brewing turns One year old after the the New Year - another great milestone. Homebrew Competition Medals Earned: 4 Medals - Gold, South Shore Brewoff (Irish Red); Silver, Dominion Cup (Dunkelweizen); Bronze, Boston Homebrew Comp (Dragon's Milk); Bronze, South Shore Brewoff (American Pale Ale). Favorite Brew: Foreign Export Stout - mainly because we got the chance to collaborate with Mike T. over at The Mad Fermentation for this beer. 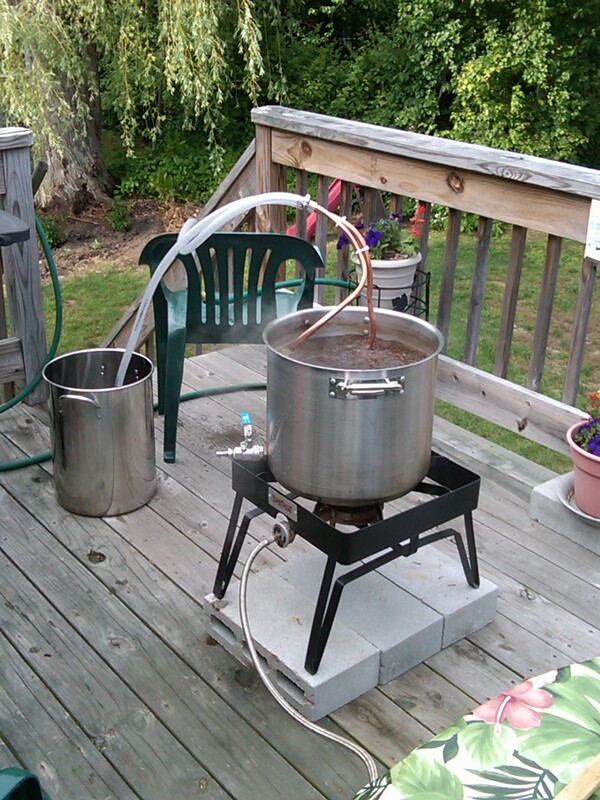 Least Favorite Brew: Brown Porter - the brew day was fine, but the results were very bland. From both Tom and I, we hope everyone has a wonderful and rewarding New Year. Look forward to some exciting changes to Lug Wrench in the coming year!